CodeBroker, a developer of secure mobile coupon technology for retailers looking to increase foot traffic and basket size, joined with Honeywell at this year’s National Retail Federation (NRF) annual conference. CodeBroker had joined Honeywell Sensing and Productivity Solutions to demonstrate the ease of requesting and redeeming mobile coupons. CodeBroker has helped retailers of all sizes deliver 500 million consumer coupons via its mobile delivery and management platform. Honeywell showcased its popular 2D scanners used by retailers to capture product and customer data at the point-of-sale (POS). The scanner works with smartphones and other mobile devices to capture barcodes for redeeming consumer coupons, tracking redemption data, and managing inventory. Used at 24,000 retail locations, CodeBroker allows retailers to setup and deliver promotions to mobile devices in minutes, and provides a complete picture of their campaigns, enabling them to track, manage, and access promotion data. “Show attendees had a hands-on opportunity to see how easy it is to request and redeem mobile offers. Our retailer customers have found that using mobile barcodes lets them quickly capture important data as well as improve the consumer experience by speeding up the check-out process,” said Dan Slavin, CodeBroker founder and CEO. “Our mobile engagement platform is used by retailers of all sizes to create mobile promotions that drive traffic to both online and physical stores, increasing trips and sales. 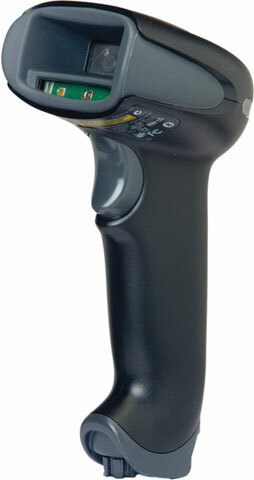 Traditional laser scanners read linear barcodes at the point-of-sale, a technology that greatly simplified checkout. But today’s highly developed area-imaging scanners enable greater capability and flexibility, putting far more productivity into the hands of retail employees and allowing for revenue-generating mobile marketing initiatives. With these advantages, it’s no wonder VDC’s 2013 Report forecasts area-imaging scanners sales to grow at a rate of 13.4% for the next three years, compared to the expected 7.3% decline for laser-based scanners over the time period. Imaging technology is firmly established as a cost-effective, durable, technologically capable alternative to laser-based systems. Plus, imagers are capable of supporting retailer’s mobile marketing programs, capturing mobile coupons right off customers’ smartphone screens or automatically collecting their information from ID cards for loyalty program auto-enrollment. The Internet and mobile broadband service have created new shopping channels for consumers, and new competition for brick and mortar retailers. At the same, a slow growth economy is limiting expansion of disposable income. Innovative retailers are fighting fire with fire, improving their e-commerce presence and adopting the consumer’s mobile phone as a new marketing medium. Promotions sent via SMS text message or via loyalty apps increase shopping visits, generating both immediate incremental revenue and improving long-term share of wallet. The most commonly used technology to electronically identify loyal shoppers and redeem mobile coupons are 2D barcodes rendered on mobile phone screens. 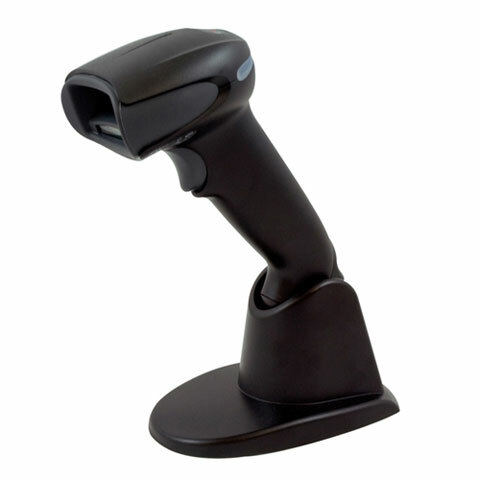 And that requires a high performance, area-imaging barcode scanner at the point-of-sale.